A 2-part series, exploring the role of technology in the Battle of the Atlantic in WW2. 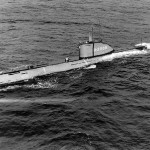 How did technical innovations by German, American and British engineers determine the ebbs and flows of the naval battles and the ultimate fate of the German U-Boats fleet? 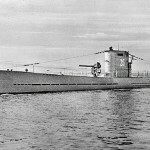 In 1941 the British and Canadian navies managed, with great effort, to turn the tide and curb the U-Boats threat in the North Atlantic – but Admiral Dönitz was about to introduce a new kind of U-Boat – one that would deal a deadly blow to the British, American and Canadian forces. Type 21, AKA – Elektroboote. How did the small, outgunned German fleet manage to strike painful blows to the Great British Navy in WW2? The credit for this success belongs to the German flotilla of submarines: the Unterseeboots, or U-Boats. It’s commander, Admiral Karl Doenitz, applied a once ‘failed’ tactic of ‘Wolf Packs’ attacks against allied merchant marine vessels, and dealt heavy blows to the British and American forces.